A septic joint occurs when a bacterial infection occurs inside a joint space. A joint is the connection between to bones. Joints include the knee, hip, shoulder, and dozens of joints in the spine. Any joint can become infected, but some are more common than others. Septic joints are most common in infants and young children, immunocompromised patients, and people with joint replacements. The body has a hard time fighting the infection because of a lack of immune defense within the joints. Joint cartilage can be irreversibly damaged by joint infections. Symptoms of the patient: Common symptoms of infection include fevers, chills, sweats, and joint pain. 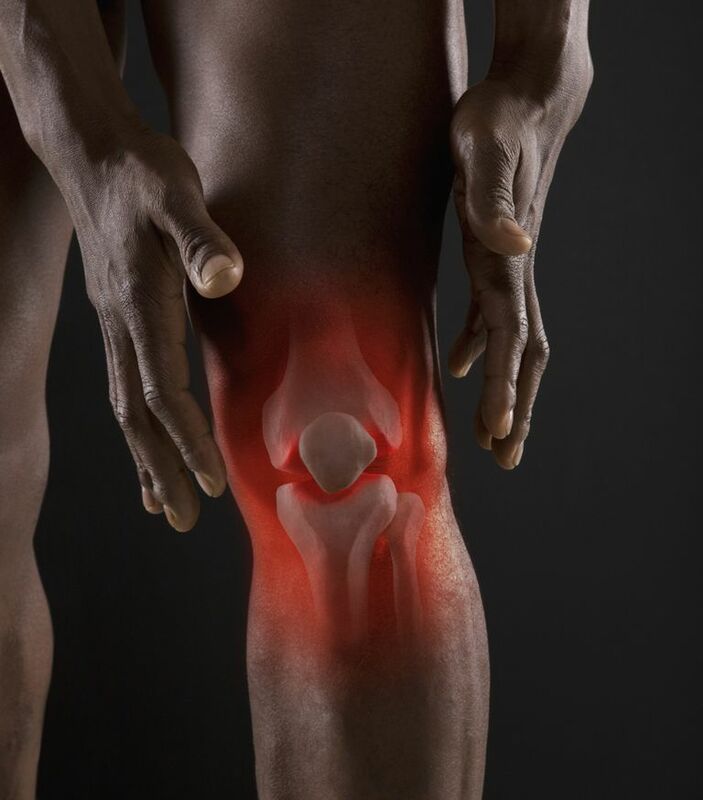 Restricted movement of the joint: Sudden, restricted movement of a joint is a cause for concern, as well as difficulty placing weight on the joint. Swelling of the joint: Infected joints often feel swollen, warm, and tender. Feeling or seeing a swollen hip or ankle is easier than some joints deep inside the body such as the hip or spine. Abnormal blood tests: Blood tests are often abnormal including the white blood cell count (a common sign of infection), the sedementation rate (ESR) or the C-reactive protein (CRP). Abnormal imaging tests: X-rays, ultrasounds, or MRIs may show fluid accumulation within the joint, or inflammation of the surrounding tissues. Fluid sample: The definitive test for a joint infection is to obtain a fluid sample from the joint. Fluid sample can be obtained at the time of a surgical procedure, but are more often done to confirm infection prior to surgery by inserting a needle into the joint to obtain the fluid sample. The fluid can be analyzed to look for infection or for signs of the infection. The white blood cell count of the fluid sample is typically unusually elevated. However, sometime this can be abnormal in problems that are not infection, such as gout or arthritis. The most definitive test is a culture of the fluid where a pathologist grows bacteria from the fluid sample to determine exactly what is causing the infection. In addition to confirming the diagnosis of a septic joint, the culture of the fluid can help your doctor determine the best antibiotics for treatment of the condition. Septic joints require urgent treatment. Treatment consists of draining the infection out of the joint space, often surgically, along with intravenous antibiotics. Time is essential in the treatment of an infected joint, as leaving pus inside a joint can lead to the rapid deterioration of cartilage of the joint. This is especially concerning in young patients with otherwise healthy joints. In this setting the risk of long-term problems is high, even with proper treatment. When an infection is treated surgically, your surgeon will either open up the joint, or used instruments to enter inside the joint, circulate fluid to irrigate the joint space. It is impossible to remove every bacteria from an infected joint, but I washing out the bulk of the infection, your body has a chance to fight off the remaining infection with the aid of antibiotics. Sometimes infections are treated with open surgical debridement. This means a surgical incision is made over the joint and your surgeon will look directly inside the joint. Other times, arthroscopic joint irrigation can be performed. In this case, an arthroscope will be inserted into the joint, and fluid can be circulated without making large incisions. Infection within the joint is a very serious problem that requires urgent treatment. Sometimes identifying an infection can be difficult, but there are laboratory tests can be performed to help determine if you have a joint infection. If a joint infection is diagnosed, typically surgery and intravenous antibiotics will be used to address the problem. Jiang JJ, Piponov HI, Mass DP, Angeles JG, Shi LL. "SepticArthritis of the Shoulder: A Comparison of Treatment Methods" J AmAcadOrthopSurg. 2017 Aug;25(8):e175-e184.